An utterly stunning novel of love, loss, the insidious nature of secrets, and the transformative power of words. I Saw a Man fulfills the promise of Owen Sheers's acclaimed novel, Resistance. When journalist Caroline Marshall dies while on assignment in Pakistan, her grief-stricken husband, Michael, leaves their cottage in Wales and returns to London. He quickly develops a friendship with his neighbors, Josh and Samantha Nelson, and their two young daughters. Michael’s becoming close with the family marks the beginning of a long healing process. But Michael's period of recovery comes to an abrupt end when a terrible accident brings the burden of a shattering secret into his life. How will Michael bear the agonizing weight of guilt as he navigates persistent doubts on the path to attempted redemption? The answer, revealed poignantly in Sheers' masterly prose, is eloquent, resonant, and completely unforgettable. 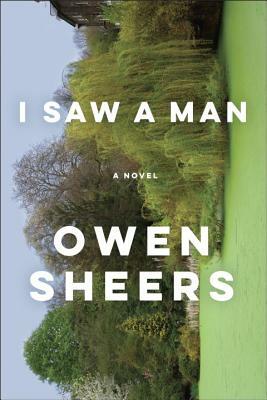 Owen Sheers is a poet, author and playwright. His first novel, Resistance, was translated into ten languages and adapted into a film. The Dust Diaries, his Zimbabwean nonfiction narrative, won the Welsh Book of the Year Award. His awards for poetry and drama include the Somerset Maugham Award for Skirrid Hill, the Hay Festival Medal for Poetry and Welsh Book of the Year Award for Pink Mist, and the Amnesty International Freedom of Expression Award for his play The Two Worlds of Charlie F. He lives in Wales with his wife and daughter. He has been a New York Public Library Cullman Fellow and is currently Professor in Creativity at Swansea University.